in cash to the teacher or online at the www.southplantation.org website with a credit card. ​so we can call you. Information about trips can be found below. Block scheduling added 30 minutes to each class period thus enabling longer on-campus field trips. Weedology was the perfect opportunity for the Paladins to learn with personnel from the Youth ERnvironmental Alliance or YEA! 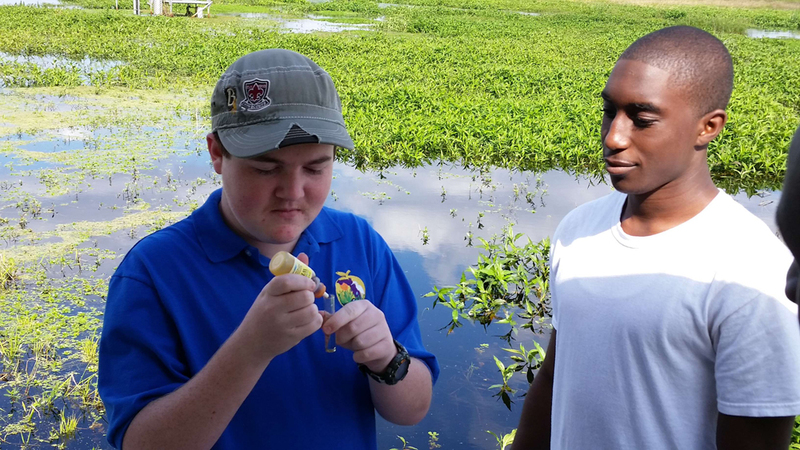 After lectures about invasive plants and the opportunity to study samples close up, students took their learning to the South Plantation campus so they could remove the weeds. Throughout the day, numerous classes with students in every grade worked to clear out the invasives starting around the magnet building. Later in the year more native plants will be added to the gardens that were begun at the end of the 2017-18 school year. Bringing what is learned in the classroom to actual sites is part of the curriculum of Experimental Science 3 Honors classes. The 3-part hands-on, place-based educational experience consists of two school-based experiences and one off-site field trip delivered by the Youth Environmental Alliance (YEA!). All programs tie directly to the curriculum and provide new and engaging ways to learn key content. School-based programs will be delivered on campus during normal instructional time. For the second step students spent all day in the field to learn more about local flora, fauna, and ecosystems; engage in sustainable fishing practices and take part in ecosystem restoration by enhancing habitats for pollinators. Culminating the program students engaged in habitat stewardship on school grounds. 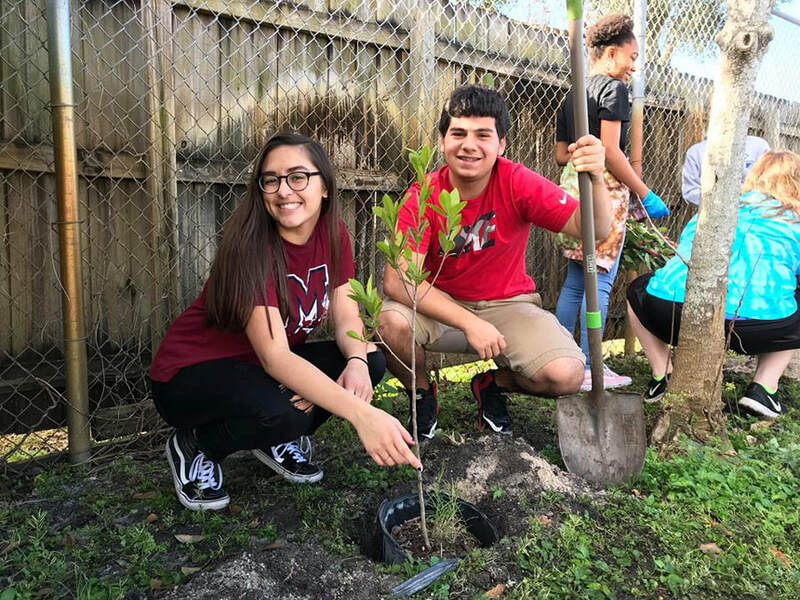 ​ After learning the principles of Florida-friendly landscaping, students identified an area on campus in need of remediation and transformed it into a “NatureScape” featuring native plants that are both wildlife and people friendly. Freshmen in Honors English spent the day in Miami learning more about the history of South Florida. Special emphasis covered the Everglades and the influence of local Native Americans. ​ Students in Jessica Reeves' classes examined ancient bones, shards and relics from Florida's earliest inhabitants as part of the magnet English curriculum. Just as the weather began to turn colder in October, freshmen dove into the pool at Fort Lauderdale High's Aquatic Complex after a short bus ride. First they had to show they knew how to swim, and then they had to swim a distance unaided, float on their back for a predetermined time and tread water for several minutes. divided into teams and swam relay races. Then the all had the chance to go off the diving board. Those who had difficulty swimming, were taught to swim by the coach and magnet coordinator - a certified swim instructor. Some student returned for addition lessons to make sure if they fell out of a canoe they could save themselves. ​ No one complained about the cool weather because they stayed in the pool. Florida's rainy season created deep water for the freshmen as they traveled to Holiday Park to experience the Everglades up close and personal. After a general orientation including a historical interactive presentation, the students broke into two groups: one went slogging and the other went a airboat ride and data collection. wildlife including numerous birds. They they sampled and tested the quality of the water at three different locations miles apart. When thye returned to the outdoor lab, the identified invertebrates found in the water they collected. The sloggers broke new ground in a deeper section of Holiday Park creating very wet students. Part of the Everglades Restoration curriculum covers how farming has affected the water in the Everglades. After a year's absence, students returned to tour the Stormwater Treatment Area (STA) on US 27 as they observed the Best Management Practices (BMPs) of U.S. Sugar based in Clewiston. Everglades. SFWMD personnel explained what had to be in in the event of hurricane or drought conditions. Students observed the return of wildlife to the area as the cleaner water flowed south. ​ Then they boarded the bus and went to the sugar cane fields where they learned how the BMPs of U.S. Sugar have helped improve the water quality beyond what is prescribed by federal regulations. 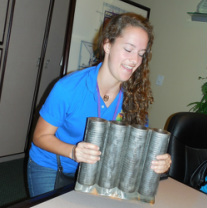 They sampled fresh-cut cane and toured the Clewiston museum before returning to school. 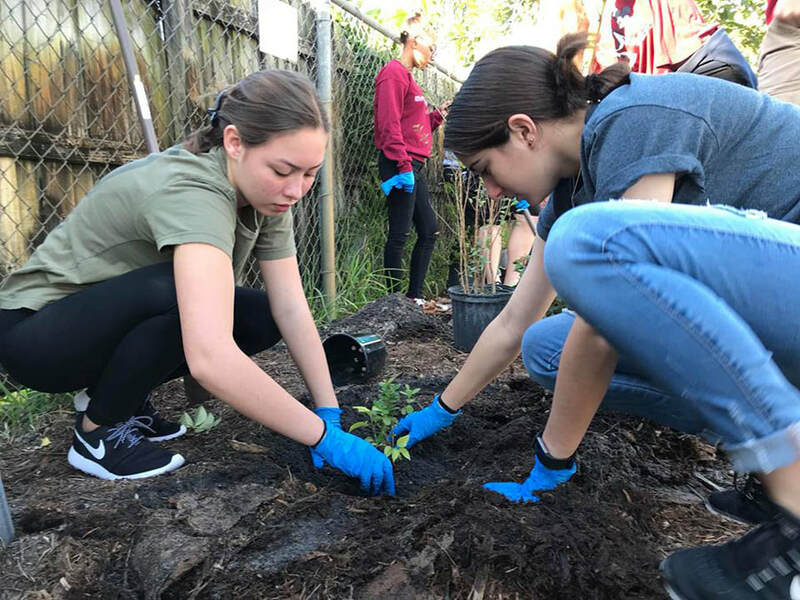 As the King Tide raised the waters of South Florida, Juniors in Experimental Science 3 became extremely wet as they went fishing in the Intracoastal and restored the habitat of the land. After they reviewed fishing regulations they learned as freshmen, they had a morning of successful catch-and-release fishing. local landscape as well as the native vegetation including mangroves who help combat the rising tides. ​ After lunch and a nature walk, they spent the rest of the day removing the exotics and replacing them with native plants before returning home wet but satisfied. They worked alongside personnel from YEA! : Youth Environmental Alliance and teacher, Dr. Jody Berman. College's Tigertail Lake with Coach Kincaid and polished their canoeing skills from paddling to rescue. ​ All students needed to be prepared for the trips over the next three years in the Everlades' River of Grass. For the first time in the 14 year history of the magnet program, all the students in the Research 3 and 4 classes toured Everglades National Park from the Flamingo entrance at Florida Bay to the main visitor's center on one trip. As they made stops along the way to observe the different habitats and wildlife, they used their senses to explain what they learned about the park first hand instead of in textbooks. Students also needed to document their writing with photographs at each location and they used cameras as well as their phones to do so. The two busloads of students started at opposite ends of the park and ate lunch along the way. Before returning home they stopped at a popular stand to enjoy smoothies and milkshakes as well as tropical food. Just before the Thanksgiving break, the 160 magnet freshmen spent the day in the Everglades at Shark River Valley Slough. Three trips were needed for all the students to attend. Herons, Tricolored Herons, Ibis, Anhingas, Red Shouldered Hawks, Turkey Vultures and other birds and reptiles. Observations were the theme of the day. 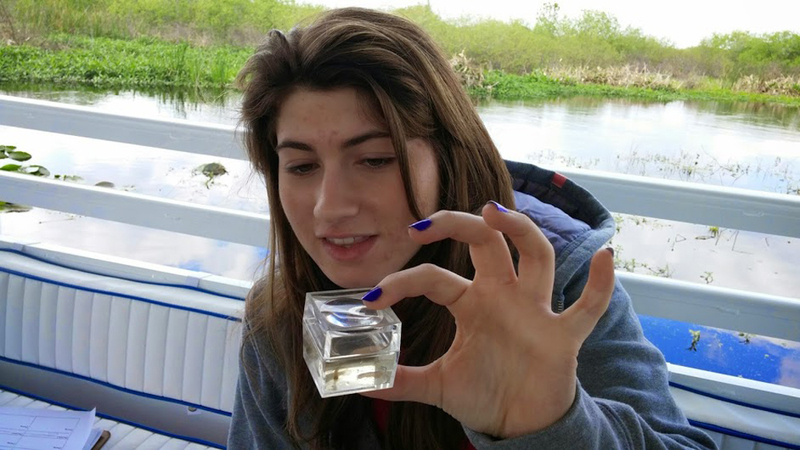 Instead of the traditional data-filled worksheet, students practiced their observation skills beginning on the bus ride and throughout Everglades National Park. 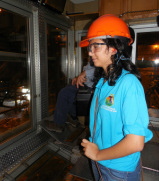 For the past 14 years, freshmen in the first theme class of the magnet, Research 1 and II, have toured the U.S. Sugar Corporation in March. 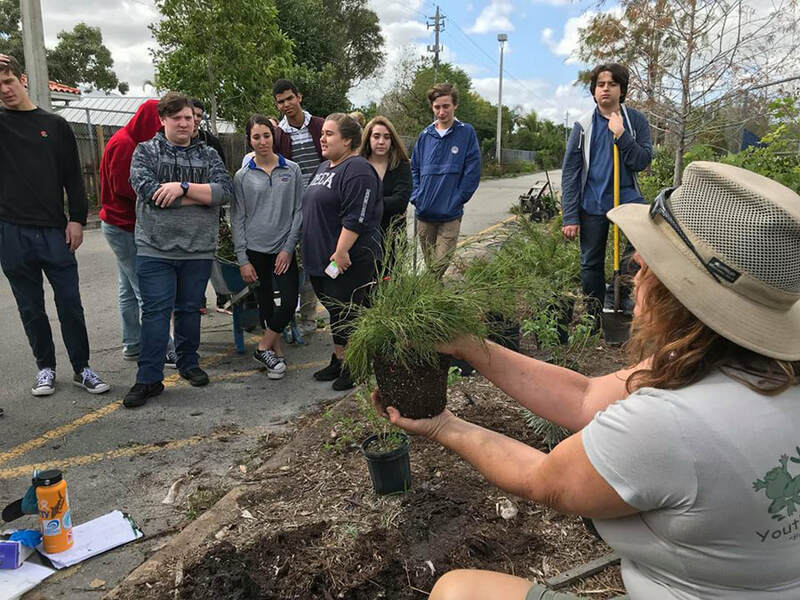 Guided by Judy Sanchez from U.S. Sugar, students saw how the Storm Treatment Area adjusted the water flow to the Everglades, helping to purify the water coming from the Kissimmee chain of lakes. Then they went to Clewiston and observed a harvest of sugar cane fields. In the planned burn of the cane fields, the leaves were burned off before the cane was harvested and sent to the plant via train. At the mill, the sucrose was extracted, and the sugar was stored in large warehouses before being purified. Students collected sugar from the warehouse and took home stalks of the cane. 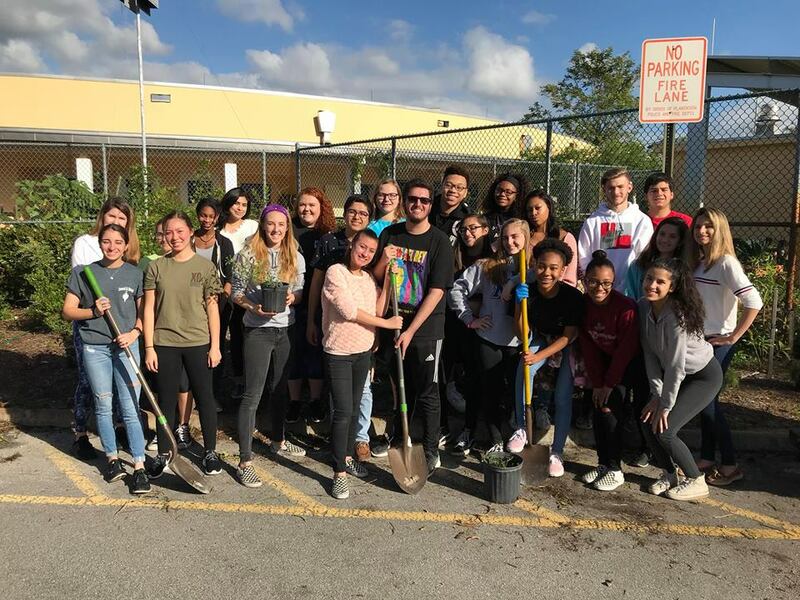 On three different days in January 2015, students in the Research 3-4 classes including dual enrollment, helped Broward County Parks personnel remove non-native invasive plants from Miramar Pinelands. The Everglades Watershed begins in central Florida at the head of the Kissimmee River. Through the years the river's flow was changed due to population and economic needs at the expense of water quality and the flora and fauna of the Everglades. However, with the focus on Everglades Restoration, the oxbows of the river returned due to the removal of dams that were built to make the river a straight canal for commerce. During the two-day trip, they tested the water quality of the river, counted wildlife, dipped for aquatic invertebrates, and studied the landscape and wetland plants. After dinner they enjoyed a wildlife presentation about snakes and alligators before departing to the Kissimmee Prairie for star and moon gazing with an astronomer. The day ended with a campfire and s'mores. As part of the Honors Environmental Science curriculum, sophomores and juniors to see how Wheelabrator South Broward turns household waste into power. For 12 years, what the facility does has been an important part of the magnet program. 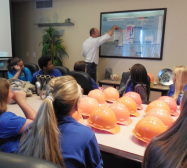 After a video, plant professionals showed the students the facility from the crane room to the control room while explaining safety features and career opportunities. 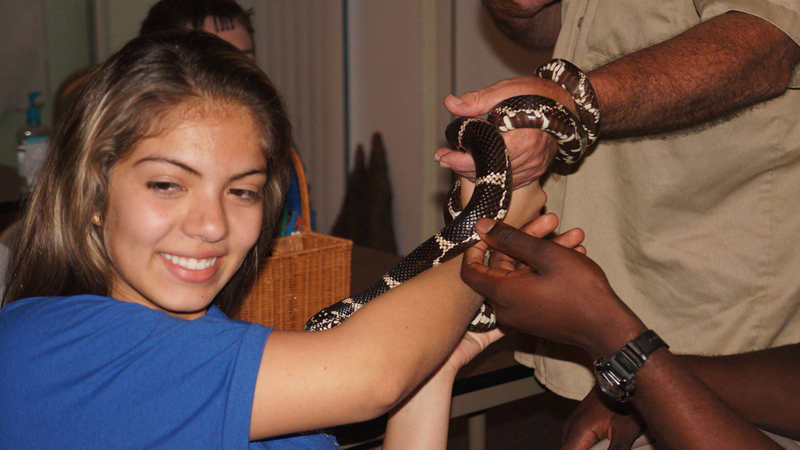 More than 150 AP Environmental Science students studied the biodiversity at Zoo Miami in November 2013. In addition to completing a worksheet covering the different habitats in the zoo student documented their visit by completing a photo project. 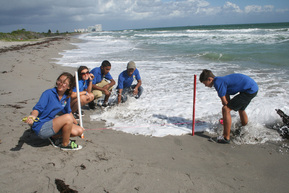 Freshmen began their trips with the Water Assessment. Because swimming safety is critical to trips in the "River of Grass," all students must be able to swim. The assessment took place at Fort Lauderdale High's new swimming complex the first week in November over three days. Several freshmen are on the varsity swimming team, and Logan Downey won the state title in diving. In early November, sophomores and juniors enrolled in Honors and AP Environmental Science explored the tide line and coastal habitat at John U. Lloyd State Park in Dania. The strong winds in early November made data gathering difficult, but the students continued their sampling and analysis under the guidance of the Science Eye professionals. The trips involved three areas: understanding tides, winds and currents; what is caught in the tide line as the high tide recedes; and the flora of the sandy habitat.